Hello! I am new to owning reptiles and I have been reading what I can find but there is so much contradicting information out there, not to mention, it feels like some guides assume you know a certain amount of information which isn't very helpful. So apologies if some of these questions seem particularly silly. Almost two months ago I took in two teeny tiny baby Mediterranean house geckos. We had just gotten a cold snap, and while working on the rock walls at work we disturbed them. It was so cold they barely twitched and without shelter I suspected they'd die. So I put them in an old coffee container and took them home. Long story short, they're doing good but I know they could be doing better. I rigged up a large glass canister to serve as their temporary home, I've been feeding them leopard gecko food and dried meal worms, with vitamin additive added. And while they've grown they're suddenly getting leaner and their color has darkened. I was looking to buy (or make) a better terrainium for them and here's where I get stumped. What is a better substrate for them? Right now I have this white sand with calcium I bought from petsmart but I keep seeing folks use paper towels or a mat like substrate. The food I'm feeding them...is it a good mix or should I be looking for something else. Unfortunately the folks petsmart and petco weren't able to help me much here except to recommend getting thr dried leopard gecko food. Is there anything else I should be aware of or considering that I'm missing? 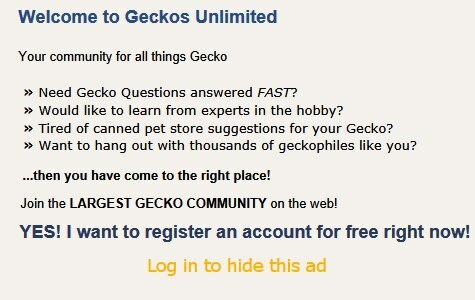 I don't keep these geckos, but here is an article about the genus Hemidactylus, which is where the House gecko belongs. Hopefully the husbandry description will give you new information. --I believe these guys are arboreal and diurnal. They will need UVB lighting and calcium. If they're not getting that, they won't do well. Most of these geckos eat live food. --the trick to interpreting care sheets is to google "[type of gecko] care" and read several sheets. The information that keeps getting repeated is often what everyone agrees about. Sift out the contradictory info and come back to the forum with your questions about that. You are more likely to get a useful response since it will be a lot more specific than "tell me what to do". Keep us posted about what you discover and how they do. Good advice from Aliza, as always. I would add - calci-sand is probably NOT a good choice; from everything I've heard over the past year or so, there is a risk of impaction for any gecko with that. Go with paper towels for now. There will probably be a better feeding response with small dubia roaches (if they are allowed in the state where you live). Dried mealworms don't have much, if any, nutrition in them. You can keep the leopard gecko food available, but live food will probably get the best feeding response from these guys. Yup, UVB light suggested if they are active during the day, as they would get UVB from the sun in the wild. Lots of foliage to hide in, mist the tank...and if you can find an Exo-Terra tank, probably a 12x12x18 (Craigslist would be a good place to look if you want a bargain) that would probably be a good size. Check those care sheets. Birby - a young member here, has recently acquired a house gecko named Mocha, who is doing very well right now! You can do a search for Birby's posts and check those out as well as reading care sheets. Thanks for caring about these little guys! I hope they thrive!